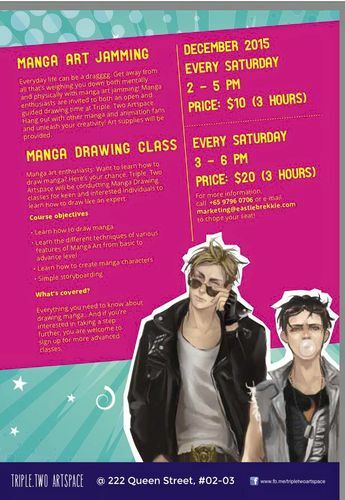 Spice up the holidays with colors and all things anime at this fun Manga Art Jamming session. Held at Triple. Two Artspace on Saturday and Sunday afternoons, from 2 to 5 pm, all drawing materials – drawing paper and pencils – are provided. Swing by Triple. Two Artspace at 222 Queen Street, #02-03 or e-mail charmaine@flamecomms.com to register.